Can We Have a Treat? 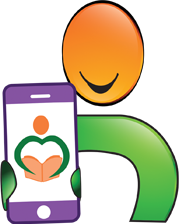 is a children’s picture book written by S.A. Dymond and Shiloh Dymond, and illustrated by S.A. Dymond. Isabelle and her little brother love eating treats, and when Isabelle came home from school that afternoon, a treat was the first thing on her mind. Their dad reminded them that they don’t get treats before dinner as it would ruin their appetites, but, if they eat everything on their plates, they would get a treat after dinner. When Mom came home, Isabelle and Joe excitedly told her about the promised treat. Mom loves treats too, so everyone was looking forward to their after-dinner goodie. Isabelle and Joe, however, weren’t quite so sure about what Dad had made for dinner that night. It was white and looked different than anything they had eaten before. They were both sure they would hate it, but they took Dad’s advice and gave it a try. 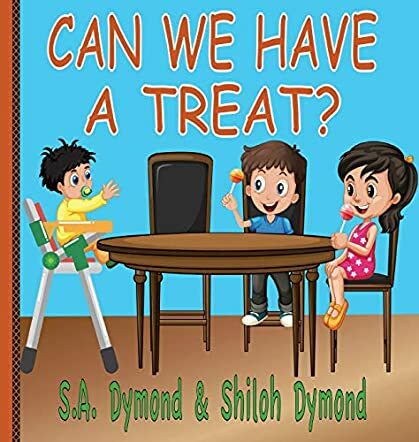 S.A. Dymond and Shiloh Dymond’s children’s picture book, Can We Have a Treat?, addresses a common issue in many households -- how to get kids, and sometimes adults, to try new and different foods. Isabelle and Joe’s excitement about getting a treat, perhaps, may give them extra incentive to give that strange new food a try. Knowing that only a try is needed also helps kids feel empowered about the decision of whether to accept the new food or not. The book also introduces a family where the mom works outside the home while the dad is at home with the kids, which is a nice reinforcement for kids with stay-at-home dads, and a fine way to show kids in traditional households that culturally expected gender roles are not carved in stone. S.A. Dymond’s illustrations are cheerful and brightly colored, and work quite well with the text. Can We Have a Treat? is most highly recommended. Two children discover that with patience and an adventurous spirit, eating healthily can be fun and rewarding in the children's picture book, Can We Have A Treat? by S.A. Dymond and Shiloh Dymond. Sister and brother, Isabella and Joe love sweets. The moment they come home from school, the first thing they ask for is a treat. Dad says no, they need to eat dinner first. Isabella and Joe are disappointed; they want a sweet treat now. Dad promises that they can have a treat after dinner if they finish all of their food first. But they must wait an hour for Mom to get home. The children are confident that they will eat all of their dinner until they see what they are having. When it is finally time to eat, Isabella and Joe are dismayed to discover that Dad has made something new tonight. With mysterious white stuff on their plates, can the kids eat all of their dinner? Will they learn to appreciate healthy foods? Discover the joy of trying new foods in the colorfully illustrated children's book, Can We Have A Treat? by S.A. Dymond and Shiloh Dymond. Isabella and Joe may like sweet treats, but they are reluctant to try new things. With the encouragement of their parents and the enticement of treats, they learn to try and appreciate new foods. 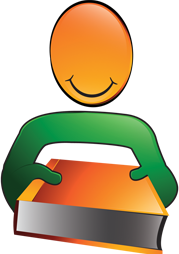 This book is a fun way to help children find the joy of eating different foods. The graphic illustrations are colorful and engaging, and the story follows several days and teaches children the value of trying new flavors and textures. As children, trying new things can be a challenge. With extra sensitive taste buds, and constantly being challenged to try new things, different foods can feel very overwhelming to them. The more a parent wants their kid to try a new dish, the more likely the kid is to resist. Keeping a positive outlook is imperative. This book explores this subject in a positive and healthy way to better encourage kids to try new things. I recommend this book to children ages four to six. Can We Have A Treat? 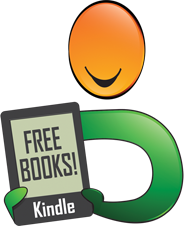 by authors S.A. Dymond and Shiloh Dymond is a cute children’s picture story book. The story is about a family of five; two parents and their three young children who are always on the look out for treats that are given to them after their dinner is eaten. The style of the font is age appropriate and is sure to grab the attention of children of all ages. The dialogue is extremely realistic and really helps to drive the story line along. You start to get a sense of what these people are like as a family in the way they interact with one another by speaking, what sorts of personalities each one tends to lean toward and such. The illustrations were also well done. S.A. Dymond and Shiloh Dymond’s children’s picture book, Can We Have A Treat?, is colorful with its bright cartoon style illustrations and leaves the reader in a happy frame of mind, as cartoons are wont to do. While the subject matter may seem a bit ordinary, you honestly feel as though you are looking in on a real family and what life is like for that family throughout their day to day lives. It does leave the young reader wanting to know more about the story and the family. I have a feeling there may be more books to come that will give us a chance to quench that thirst for more story lines involving the treat-loving family! 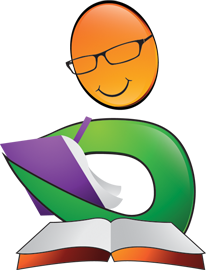 Young readers will enjoy this tale on a topic that many youngsters enjoy - having a treat once they have eaten their dinner!